At least that’s the way it seems when you look at most attempts to bring the media you want to watch and listen to into your living room. Nearly every company wants to be your sole provider of entertainment and lock you into the content they have available. However, the power of the Internet and the innovations of a few small businesses are in a position to continue to change we ways in which we consume our entertainment. 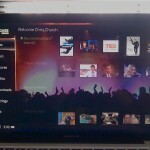 I think Boxee will be one company to keep an eye on in next couple of months, as their user base increases and they transition from an alpha version of the software into a full version of the product. Adding Windows support, as well as finding a business model to support the ongoing development, will be key. As this NY Times article mentions today, Boxee is currently developed by a small team, and is building a passionate group of fans already. The open source and social networking aspects of the product will help it to grow from the bottom up, as well as continue to support new streaming content and hardware devices as they become available. 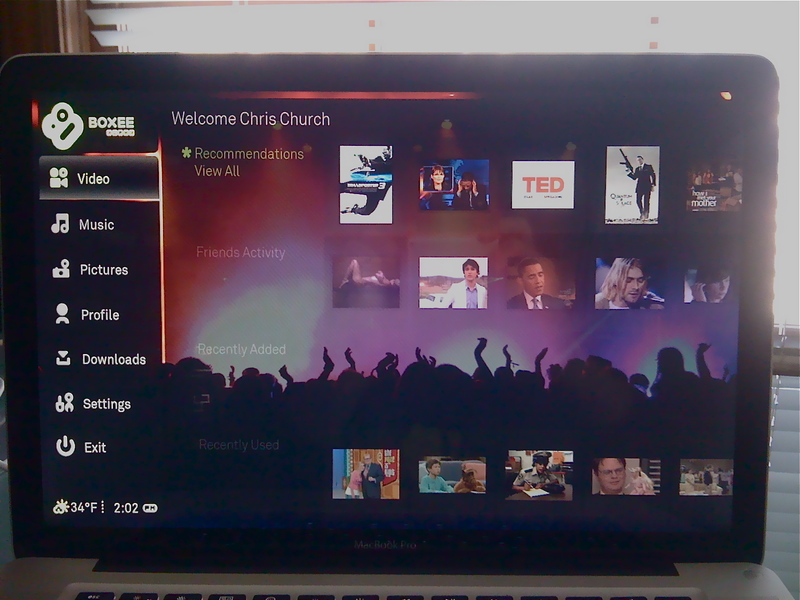 While the Apple TV seems to be the most common platform to hack and install Boxee, the Sony PS3 or even Roku’s Netflix box would also be good candidates. In trying it on my MacBook Pro, I’ve found the interface to be very slick, and mostly intuitive to use with the 6-button Apple remote. It lacks the minimal, clean look of Apple’s Front Row, but the flexibility and available content make up for it in an instant. I do wish they had support for PowerPC-based Macs, so I could leave it running on my trusty dual G5 and take advantage of it on my 23″ Cinema Display in my home office. All that being said, I’m a huge fan. I’ll be following Boxee closely to see where they go, recommending it to all my friends, and wishing the company the best as they aim to shake up the industry just a little. It’s time that my media belonged to me, or at least put me in more control of when and where and how I can watch it. This entry was posted on Saturday, January 17th, 2009 at 5:45 pm	and is filed under Linux, Mac, Multimedia, Web. You can follow any responses to this entry through the RSS 2.0 feed. Both comments and pings are currently closed.